(W) James Robinson (A/CA) Greg Hinkle. The twisted, drug-fueled finale! Is this a dream, reality, or somewhere in between? 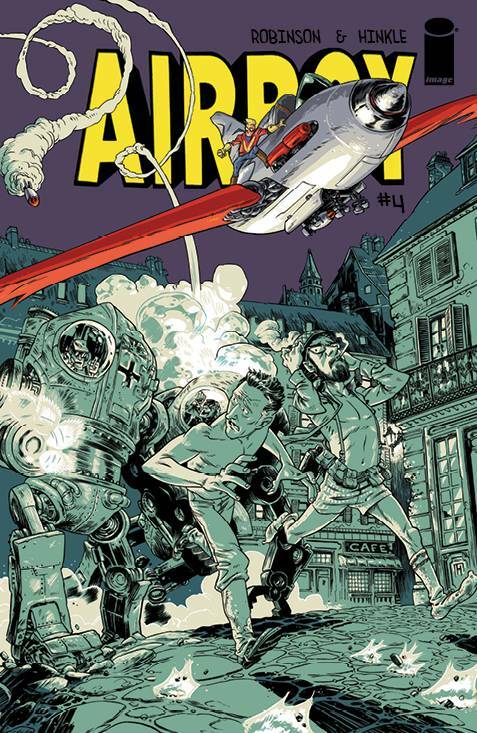 All JAMES ROBINSON and GREG HINKLE know is that now that they're in Airboy's world and not the bars of San Francisco, they have to put down the bottle, put away the drugs, zip up their flies-and actually act like heroes. Except they don't know how to be heroes. And if they die, will they just wake up...or really perish? .